When we first met, my husband didn't even dream of me baking bread. I was that busy young woman too high in the professional hierarchy for my age that no one could picture wearing an apron. The truth is that I was brought up by my mother and grandmother to respect slow food and cooking from scratch. In fact, I don't remember eating any processed or fast food well until my 20s. My fascination with bread baking has always been active but although I spent long hours by my mother's side in the kitchen I never really felt myself ready to knead until I moved away from home. For me, the pride to produce something as basic and as important as bread is incomparable to anything. But there is more to baking bread at home than ego. Kneading the dough by hand one transports her thoughts and emotions to the bread, making positivity and inspiration contagious. With this comes also a great responsibility -- to actually be positive while baking, to handle the dough lovingly, with warmth and care. Such a wonderful exercise for the spirit, don't you think? Now is the time to mention that I don't use a bread machine exactly because I want to keep the connection with bread. I want to feed my family straight from my heart and I cannot let a machine do my job. I have been baking my own bread for more than 10 years now and to those of you who have been afraid to try I can say, go ahead! I wont lie to you and say it is simple. But it is extremely satisfying and de-stressing. Maybe your first loaf will not be perfect. You might even ruin it but taking the first step will open up a new road for you that is not only leading you to better health but to a whole universe of new knowledge and possibility to communicate with your inner self. Stay tuned for some outstanding bread recipes that I will be sharing this month. Now it's your turn - do you bake bread? How was your first time? Do you prefer a bread machine or your own bare hands? 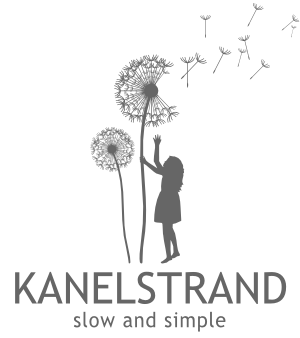 This post is part of Eat Healthier month on Kanelstrand. Please, join in the discussion, we'd love to know what you think! I love the smell around the house when something is being baked. I have just started baking my own bread and I love it. Good for you! You have to keep us updated on your progress in baking! I bake all our breads by hand. There is something very satisfying about it and it tastes so much better! 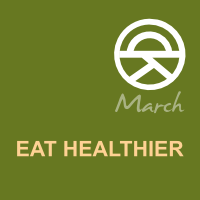 It's also so much better for you, no preservatives, just a few simple ingredients. 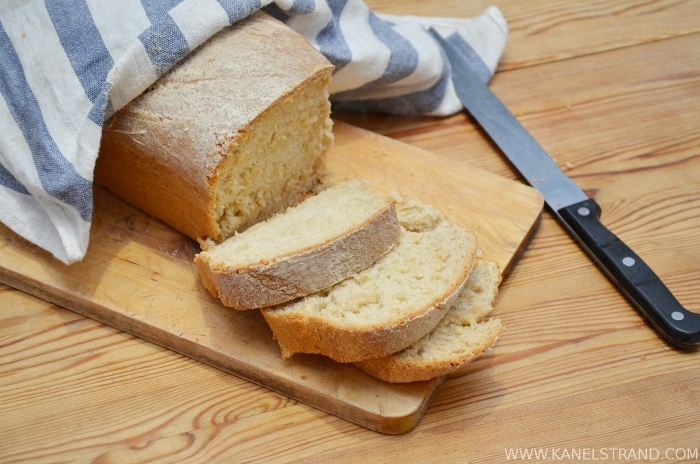 For beginners there are some wonderful almost "no-knead" breads that are pretty foolproof so you'll get comfortable and then can start tackling some more in depth ones. I learned about no-knead a few years into bread baking and now I am using the technique for some breads that require more vigorous kneading. I've never made bread, but my husband and I have talked about making our own granola bars. That's kind of similar, right? It's still seeds :) I can see you with your hands covered with flour. You will look great! I love this topic, Sonya! 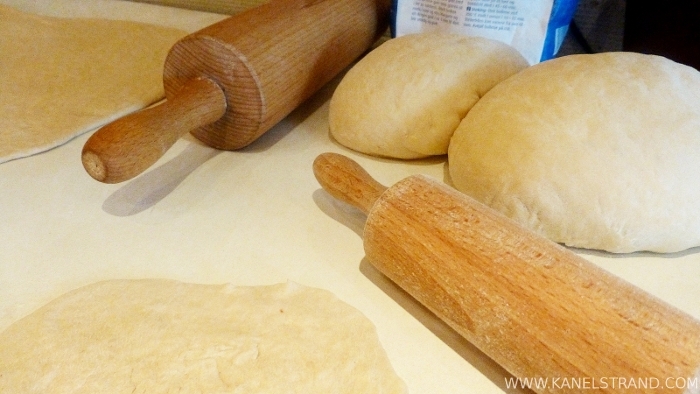 I do make my own bread...I use a pizza dough recipe that includes dry apple cider in it's ingredients list...I shape it with my own hands into whatever shape I need: loaf, buns, rolls, flatbread. I love that I can add a part of whole wheat flour or ground flaxseeds or cornmeal or sauteed spring onions...any flavour combo, basically! I'm really looking forward to reading your recipes because your loaves look gorgeous! Now you got my attention -- dry apple cider? I am most curious about this recipe, can you share it with? I love to bake my own bread, and, like you, I do not have a bread machine. There's nothing like the smell of freshly baked bread. It is nice to know that you too enjoy bread baking so much! We can learn from each other. Fresh baked, homemade bread is the BEST. I haven't made it myself (other than banana & zucchini breads), but my mother-in-law is awesome with bread! I will give it a try as soon as I get a chance, because it's soooo good. =0) Can't wait to see your recipes. I used to live in a small town that had a bread bakery, and they made the best honey whole wheat I've ever tasted. Your photos remind me of their yummy bread. In fact, the second photo is of a honey oatmeal bread. How did you recognize that? :) I love small town bakeries, don't you? When I was little I could eat a whole loaf of that steaming and tasty bread -- no preservatives or anything that might hurt you. Good old days! Loved this post. I love baking all kind of yummy things at home, bread, pastries, pizzas, pies, etc. It is wonderful to know what is in my bread, how it was made, where it was made, etc. Plus the kids love participating in the process. Thanks, Elizabeth. Yes, it is such great activity to do with kids and instill in them the love to baking -- experience they will never forget! Shortly after my late mother-in-law met me, she told me "My boys are used to home made bread". I shall show you how - and 43 years (nearly) later I was still doing it. Still make it sometimes, but somehow it's not as easy to do it for just one than it was doing to for four of us, then three (as the girls left the nest) and then just for Peter and I. I tend, now, to make French Bread - baguette style, because I find it freeze better than my traditional recipe - but I would warmly recommend it to anyone reading this blog and comments. Nothing more therapeutic than kneading the hell out of the dough (and possibly imagining someone you'd really like to be doing the same thing to!!!) Not charitable perhaps, but definitely human! Ah, Isobel, thank you for sharing a bit of your life story with us. I am curious to learn your baguette recipe. Do you use a form to bake it in? My, I've never had the chance to freeze bread. It disappears too fast! I get so alarmed when I read the ingredients on bread. The amount of conservatives is ridiculous. One more reason for us to experiment with bread. Though this wasn't my initial reason, it is very much so now. It's cheaper to bake your own and you know where the ingredients come from. Thank you for sharing your reasons to bake! I have to admit I don't bake my own bread, at least not on a regular enough basis to claim that I do. But I have experimented with making my own pizza dough and also making it using ground cauliflower ad your "1flour" which was really fun. You're right, as with so many things that are handmade it is not always the money that you are saving that spurs you on, but that deep sense of satisfaction you get when you look at the finished product and think to yourself "I did that!" Yes, you are right, Vanessa. We need that feeling of achievement from time to time. I think it is especially important for all creatives to use their hands on something other than their art! Yes - my husband and I both love baking bread! We usually use the 5 min a day method. We haven't done it for awhile so thanks for the reminder! You are very welcome, Micaela! I only recently saw a video of the 5 min a day method but it seems like a very good one. Thank you for stopping by! I totally get it....but I hate kneading. I'm too impatient, always watching the clock to see if its been long enough. I go in-between, I mix and knead in the bread maker on the dough cycle, then bake it in the oven. I do make my own flour tortillas, does that count? I also make gluten free bread for myself here and there. BTW, found your blog on the Etsy Build Your Blog team. Thank you for stopping by, Christine. If you don't like kneading you might want to try no-knead bread? It's fantastic and resembles the ones we used to have in bakeries once: http://blog.kanelstrand.com/2011/06/crust-of-bread.html I am curious about the gluten-free recipes you use. I love home cooked bread, but I have not baked bread in a very long time. I don't eat much bread these days and I am afraid if I start baking it I will want to eat it all the time. So I will enjoy looking at all the photos, and the recipes, and imagining what it smells like. Then you might enjoy my upcoming rye bread recipe, it is perfectly healthy!